I am a member of the Friends of the Alger Theater. If anyone has pictures of the inside of the theater it would be appreciated if you could share them here. Also, if there are any additional photos of the exterior of the theater they would be appreciated as well. Thanks. 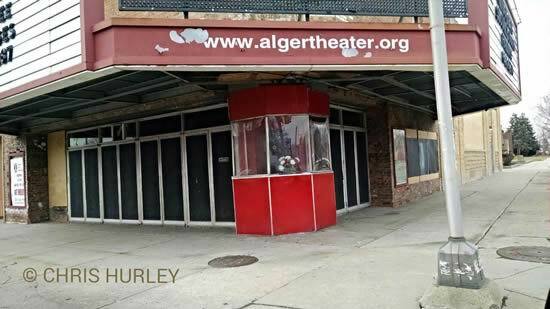 I remember the last time i went to the Alger Theater was in 1984 with some of my high school classmates. The movie that we all saw was The Terminator starring Arnold Schwarzenegger and other action movies. The theater is located on the corner of East Warren and Outer Drive. The neighborhood it's self was very peaceful. 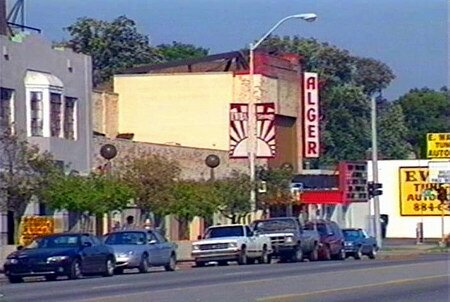 I really do miss The Alger. 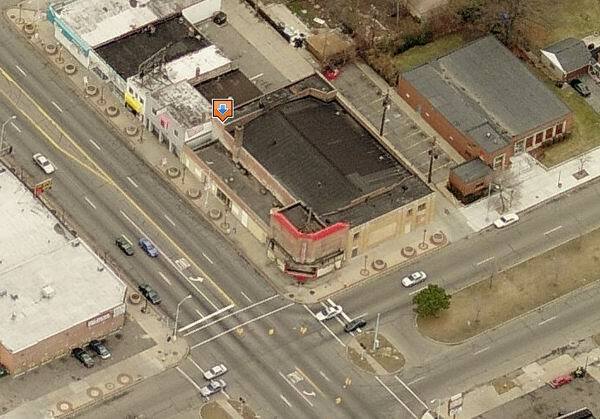 The Friends of the Alger Theater are still working to restore and re-open this great jewel of Detroit''s far east side. Check out the Friend''s Web site, www. algertheater. orgIf you''re interested, send them your e-mail address and sign up for their e-newsletter. I understand that Judy Toth is in a nursing type home at this time, after a long battle with cancer. Lots a people knew Judy and they all wish her well, a great lady. 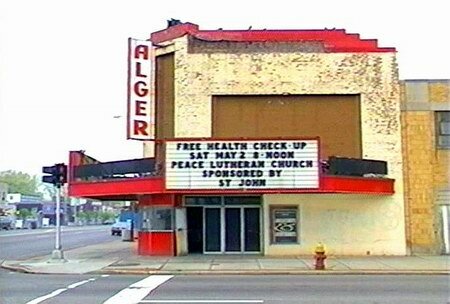 I was a projectionist at the Alger for a few years, during the Erv Steiner reign. Worked under my favorite boss, Judy Toft. 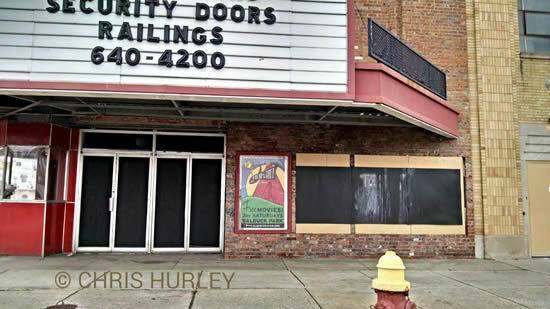 I remember when Steiner first opened it after a lengthy closure, trying to make it in to a live venue. Saw the Tommy Dorsey band there, a few amateur theater productions. 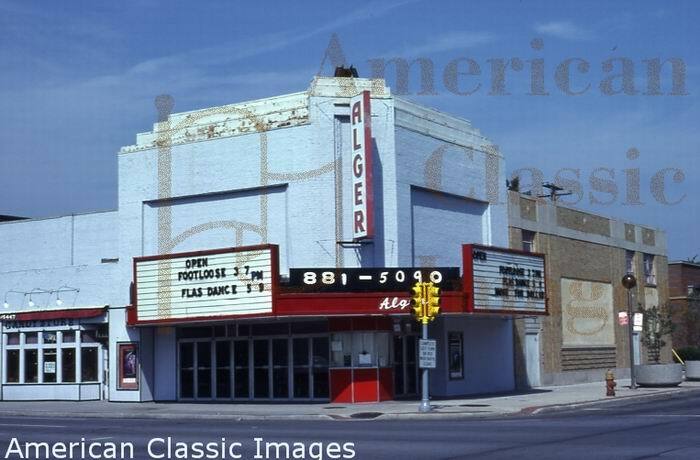 I remember the Alger also had a bomb threat back in the 60's when they showed Klute. Last time I snuck in, the projectors were long gone. 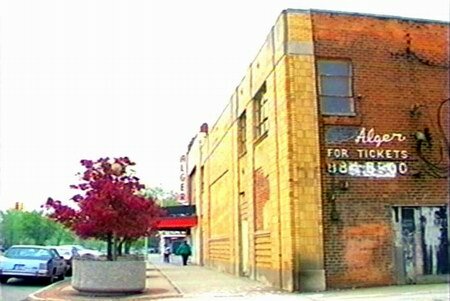 Alger Theater fights for a second chance Group to hold fund-raisers to support its restoration July 28, 2005 BY JOHN MASSON FREE PRESS STAFF WRITER Theres no gold leaf, no flashy neon marquee, no imposing lobby. And there never was. 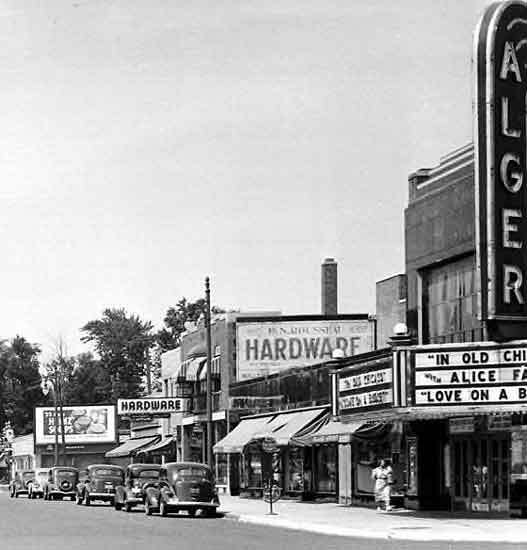 Which should be good news for the Friends of the Alger Theater, who have been working for years to save the art deco building on the corner of Warren and East Outer Drive on Detroits east side. After all, if Mike Ilitch was able to get his Fox Theater primped back to its original, over-the-top splendor, saving a place thats much more modest should be more than possible. But maybe not so easy. Thats why the preservation odyssey that essentially began the last time the Alger screened a movie -- in 1985, when one of the reels of the slasher flick Friday the 13th Part 5 broke, sparking a mini-riot and fire that closed the theater for good -- continues next month. The second of three fund-raising concerts and buffet meals will take place at the Original Pointe Bar-B-Que on East Warren near Cadieux. The Friends know it wont be easy to raise the nearly half million dollars theyll need just to bring the building, which opened in 1935, back up to city code. 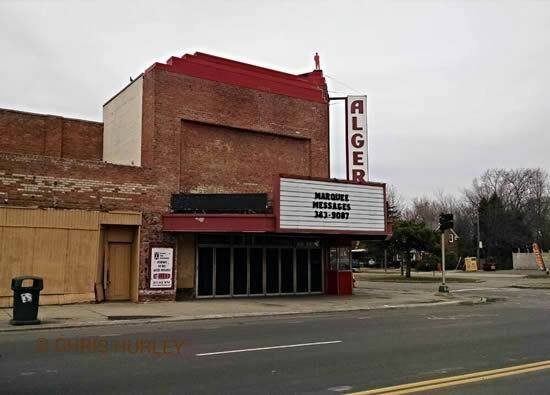 But they can see a day when a reconstituted Alger screens movies, stages live plays and music, hosts community town hall meetings, and serves as a spark plug for redevelopment in one of the citys dwindling number of still-bustling neighborhoods. If we can tap into it, that whole East Warren strip could come alive again, said Phyllis Boles, a Friends member who helped organize the fund-raisers. The next fund-raiser, to be held Aug. 8, will have entertainment provided by the soulful blues of the Odessa Harris Group. And on Sept.
12, the Motor City Music Cartel will finish off the series with a Motown retrospective. 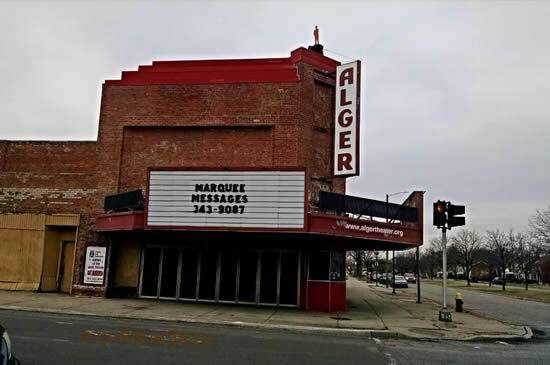 Similar fund-raisers, along with leasing space on the Algers marquee for personal messages, the occasional grant, and the generosity of individual donors have allowed the about 200 members of Friends of the Alger to keep hope alive. The Friends acquired the building at the end of 1986, according to board member Geoff Gowman, and have been trying to keep deterioration at bay while planning for future renovations. 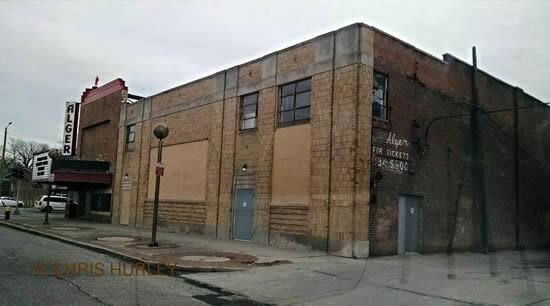 There are so few amenities in Detroit neighborhoods these days, Gowman said. People are just used to not having many things to enjoy in the neighborhood. Thats why Gowman and the Friends soldier on. I see boys and girls wandering up and down the street on a Saturday evening, with absolutely no idea how to enjoy life, Gowman said. How wonderful it would be to have this neighborhood theater on a Saturday afternoon to enjoy. He pauses. Were going to get there. 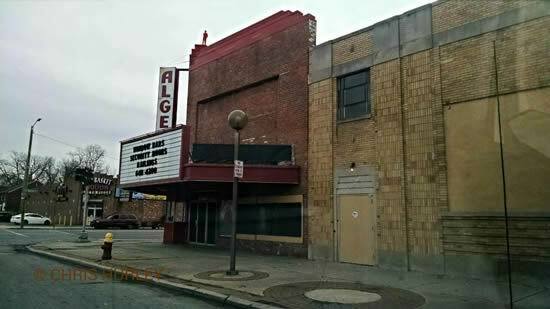 Opened in 1935, the Art Deco Alger Theater could seat 1,182 in its auditorium. 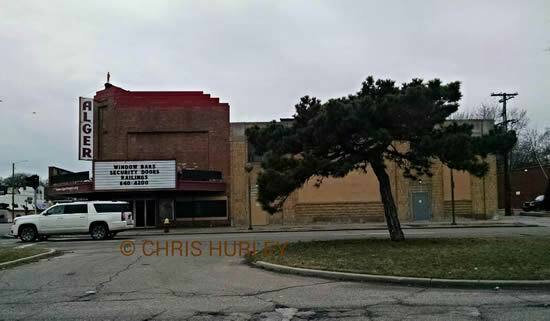 It was originally built for the United Detroit circuit, but was not long afterwards acquired by the Wisper & Wetsman chain, and later by Suburban Detroit Theatres. 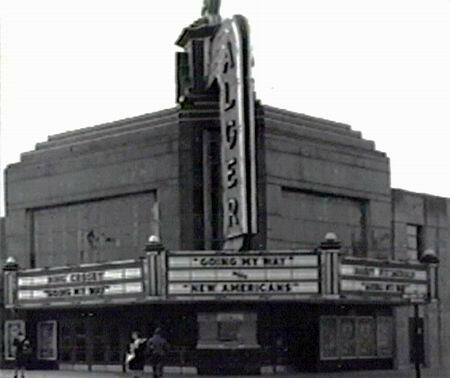 The Alger had its interior modernized in the early 70s. Its exterior, complete with the tower with the theaters name on it, was left relatively untouched. 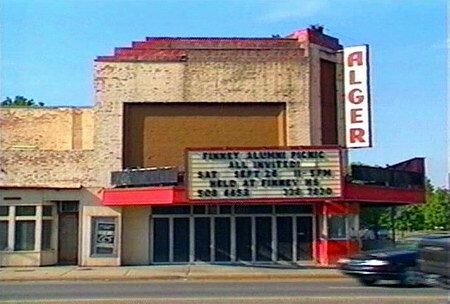 In 1977, the Alger stopped showing movies and switched to live shows, for which a new stage was built. However, by 1983, it was screening films once again. 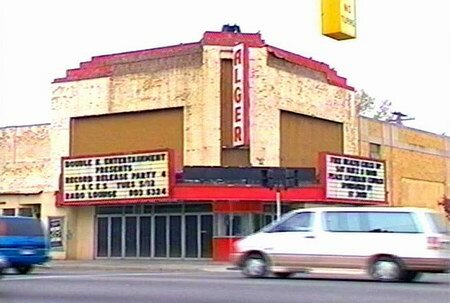 During a screening of Friday the 13th Part 5 in 1985, a riot broke out in the auditorium and a fire was set, which caused heavy damage to much of the interior, forcing the Alger to close down. 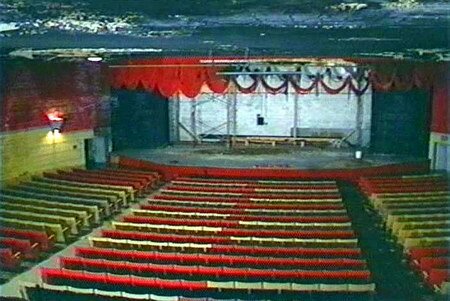 In 1987, the theater was purchased by a group called The Friends of the Alger, and restoration was begun to return the theater to its 1930s appearance. While restoration work has been ongoing, the Alger has reopened for live stage presentations. 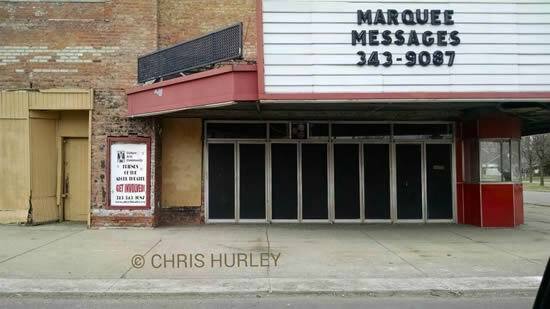 Its marquee may also be rented out for personal and business messages. Cinema Treasures Link.